Fire has a negative connotation in today’s society, but for many years it sculpted the landscape and promoted many species of wildlife. Even today, many state and federal agencies use fire to enhance wildlife habitat. But as much of the white-tailed deer’s home range is held under private management, fire is not being used nearly as much as it should. When people think of fire, they think out of control blazes through the woods scorching everything in sight. Rarely do they think about the prescribed fires creeping across the landscape in a controlled fashion. Prescribed burns can be one of the most effective wildlife management tools, and in particular deer management tools, a landowner can use. 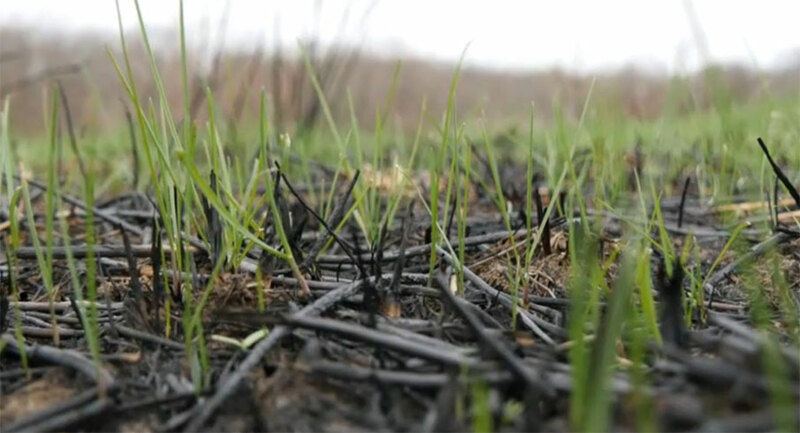 By burning the landscape in a slow method, you not only set back succession to more favorable food production for deer, but you burn off much of the litter on top, sending in back into the organic matter of the soil and revealing seeds that have been dormant to sunlight. For deer, a spring burn can create an abundance of spring and summer foods high in protein. This protein can help bucks recuperate faster from the long winter months, and begin building antlers and body mass through the summer. Though we often lean heavily on supplemental sources like food plots of pelletized feed, the natural food in a deer’s habitat will comprise most of the deer’s diet. As you begin to lay out plans for your property, consider a controlled burn to set back succession and clear debris, but more importantly generate new high-quality deer feed for the spring and summer.